You are a more than 40 foreign student ? Looking for a student house insurance ? ABC can be subscribed by foreign students and trainees (as well as their husbands/wives and children), under 40 years old, residing in France for 1 to 12 months. The contract can be renewed as long as you are a student. You can subscribe ABC before your trip or during your stay in France. The covers are also valid in all of the European Union (except in your country of origin if you come from a country within the European Union). If you decide to spend a few days traveling through Europe, you will also be covered. 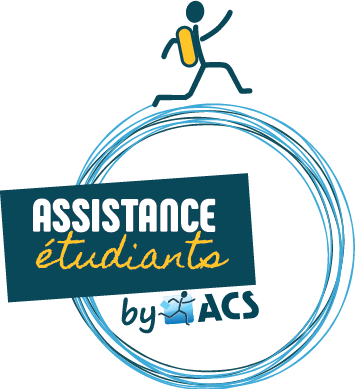 If you are more than 40 years old or you are not a student, please check Assistance Etudiants’ Foreign Resident Insurance. Each and every foreign student attending a school or a university in France must have a health insurance (public or private). Most of the students can benefit from the French Social Security student insurance plan but there are also certain cases in which the student will have to subscribe a private health insurance. If you are 27 years old or younger by October 1st of the current University year, you are enrolled for at least a 4 month course in a school or university approved by the French Social Security, and you come from a country outside of the European Union or Switzerland, you will be mandatorily affiliated to the student healthcare plan of the French Social Security. If this is your case, it is recommended to subscribe a complementary insurance that will help you complete the Social Security reimbursements of your medical expenses. If you come from a country within the European Union, you will normally benefit from your local Social Security healthcare system or from a private health insurance. In the former case, it is the public healthcare system of your country of origin that will take care of your medical expenses. Under certain circumstances you will then be exempt from paying the annual fee of the French Social Security student coverage (207 € a year for 2012). Finally, if you do not meet the requirements to benefit from the French Social Security student healthcare plan or you are not covered by the healthcare system of you country of origin (in the case of the European Union), you will mandatorily need to subscribe a private student healthcare insurance. Note: please be aware that the rules above are subject to changes, exceptions and some extensions. You should always check with the university you will be studying at and with your local French Consulate in order to make sure of how to proceed to benefit from a student health insurance for your stay in France.